Choosing to go to Law School is a big step, and it is vital that you are fully confident in your abilities as a student and as a future lawyer. Laura’s Confidence for Law School self-hypnosis session will retrain your brain to achieve your goals with ease. 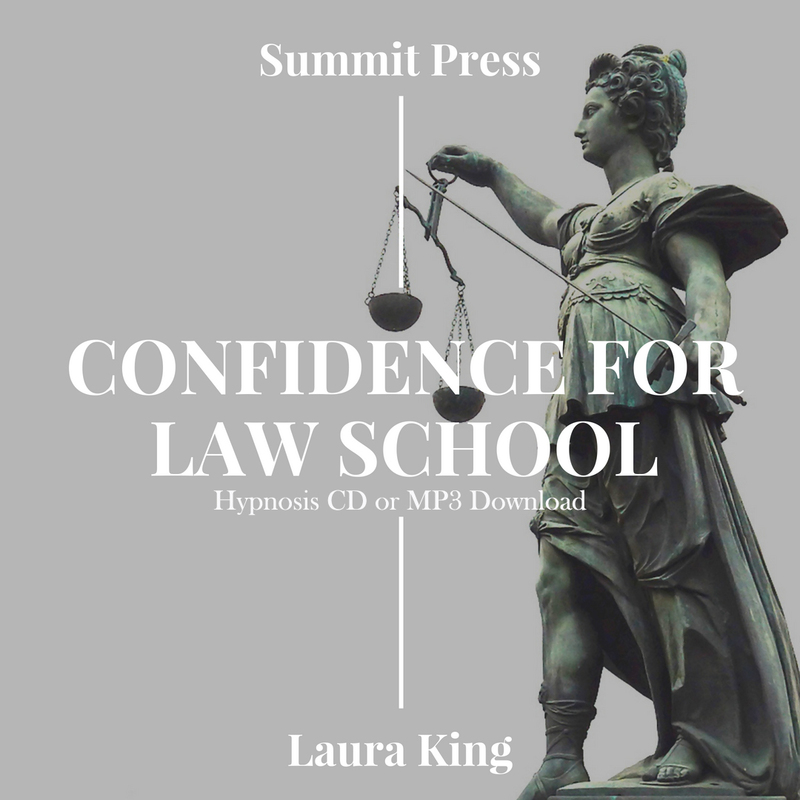 Laura’s Confidence for Law School self-hypnosis session will help you learn to be assertive in life and during law school. With stacks of cases to review and law to absorb, you need your mind to be razor sharp, and Confidence for Law School will boost your learning and test taking abilities at a deep subconscious level. Listening regularly to this Confidence for Law School self-hypnosis recording will teach your mind to accept your ability to learn easily, automatically and naturally – learning and test taking will become easy for you. Gain the confidence needed to become a successful student and a successful lawyer. Start today and listen as often as possible and watch as you breeze through Law School. Then be sure to purchase Study for the Bar Exam to ensure your success.